Rem Koolhaas and OMA may have grander commissions and more famous clients (Miuccia Prada? 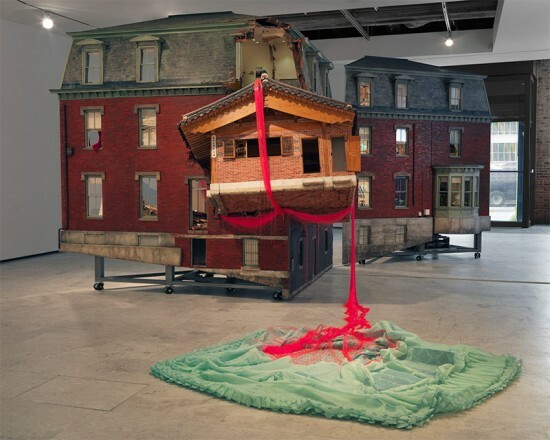 ), but probably not a more devoted and long lasting partnership than with David Maupin of the Lehmann Maupin Gallery. 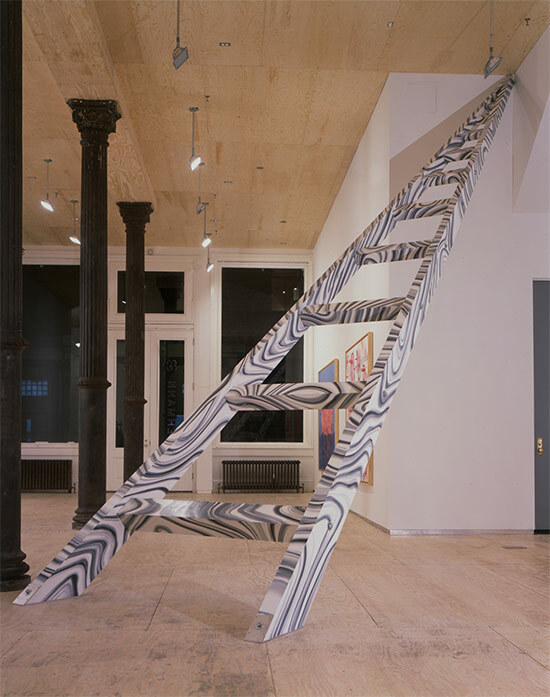 The gallerist first commissioned Koolhaas to design a new exhibition space on Manhattan’s Greene Street in 1995 and again when they moved to 26th Street in Chelsea ten years later (there is non-OMA-designed Lehmann Maupin on the Lower East Side). Now the Lehmann Maupin Gallery has asked OMA to design a third gallery, this time in Hong Kong. On Greene Street Koolhaas gave Lehmann Maupin a simple but stunning design that featured an enormous moving plywood wall that was at once not precious (like Soho at the time) and a classic white box gallery. The Dutch architect carried this same theme over to Lehmann Maupin’s Chelsea gallery but with the addition of travertine floors. 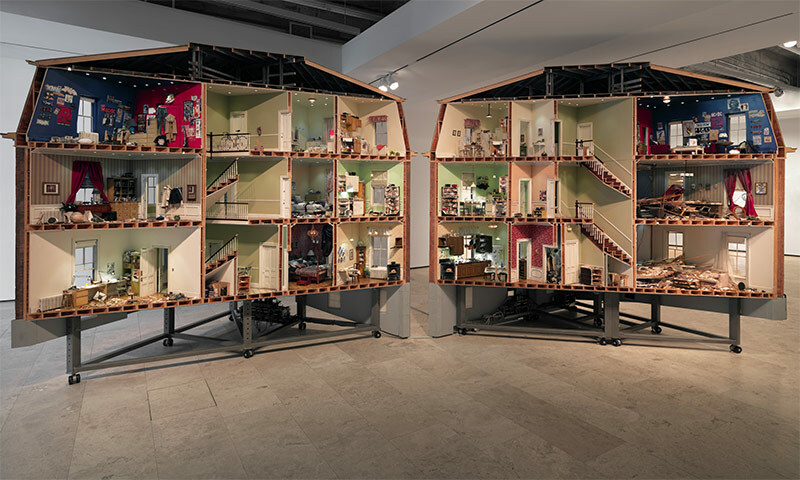 Now for Lehmann Maupin’s latest gallery, in the central, pre-war Pedder Building in Hong Kong, Koolhaas has brought a bit of old Soho “loft” style to Hong Kong. The new gallery space features marine plywood, modern fixtures and minimalist lighting set against the rough existing walls of the Pedder building. 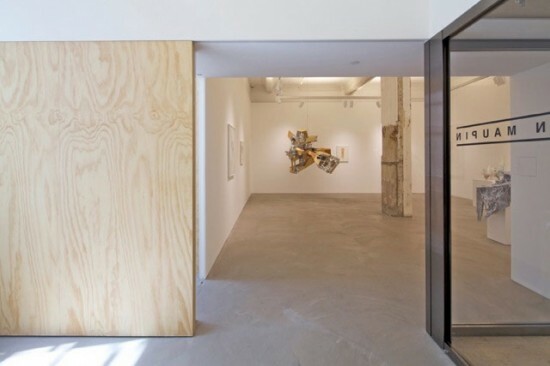 The new design features a corner entrance “that obscures the boundary between the interior and exterior” while leaving the two gallery rooms divided by a large sliding plywood wall/partition as in Soho. It’s a honest, straight-forward design that “reveals, rather than conceals, the patina that distinguishes the historic building from its more glossy neighbors.” The art work in this Hong Kong Image is from the gallery’s first show of the Korean artist Lee Bul.